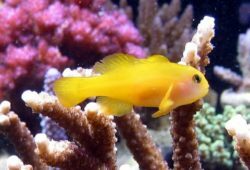 In the article it is spoken in detail about Fish That Can Live With Your Betta. Can other fish live with Bettas? And if so, which ones? The answer depends on whether your Betta is male or female, and on the individual Betta. Female Betta fish are much less aggressive than males. They also have shorter fins that are less likely to be fin-nipped. This makes them better suited to the community aquarium than male Bettas are, but even some individual male Bettas can be kept with some other species of fish. There are a couple of other factors you need to consider when deciding if you can have fish in with your Betta. They are the size of your tank, and the number of plants and other objects present in the tank. The larger the tank, the easier it is for a fish to stay away from bullies. The more plants and other decorations there are, the more hiding spots and visual barriers there are. This means an aggressive fish will have to work harder to find fishes to bully. Male Betta fish must not be kept with other male Bettas, and should not be kept with female Bettas in all but the largest of tanks. Other fish that get along very badly with male Bettas include small gouramis and guppies. 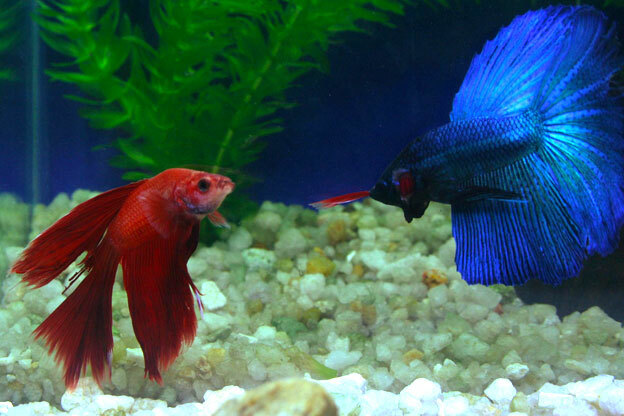 Male Bettas mistake these for other male Bettas and will attack and harass them unmercifully. Guppies are likely to get killed by an angry male Betta. Bettas are especially likely to attack red fish, so avoiding fish that are this color may help avoid problems in your tank. Large gouramis may harass Bettas. In general, gouramis get along badly with Bettas no matter which is being the aggressor. Barbs or any other fish that likes to fin-nip are also a bad idea as they will harass your Betta and damage its fins. Tiger barbs are notorious for this. Large fish that swim quickly may frighten your Betta, and if your Betta is in a tank full of greedy feeders such as barbs it will probably be outcompeted for food. So what fish can live with a male Betta? Tetras other than Serpaes, which are red and sometimes nip other fish’s fins, may work. Corydoras catfish are also an excellent bet as they are extremely peaceful and look very different from another Betta. 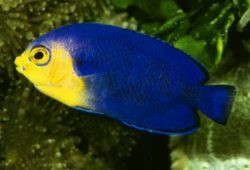 Angelfish, platies and mollies may also work, although you may want to avoid red fish unless they are angelfish that are larger than the Betta. It is also best to have more than one other fish, so that any Betta aggression gets dispersed over multiple fish. Tetras and Corydoras are happier and more confident in groups anyway, as schooling is a defense against predators in the wild. Female Bettas are less aggressive than males. They also lack the long fins, which makes them less interesting to fin-nipping fish. This makes them much easier to fit into the community tank. 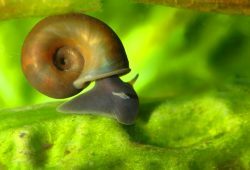 They can still be aggressive towards each other and towards small gouramis, but you are much less likely to run into problems that are unmanageable. There are fish that can live with Bettas, but it is best to be careful. Bettas vary in temperament and some are much more aggressive than others. If you buy a double-sized fry trap this can be used to temporarily separate an aggressive fish or to protect a timid one. Be sure that the Betta has access to the surface while in the trap, as Bettas need atmospheric air. These fry traps are useful as using one gives you time to find a more permanent solution.